A soprano from the New York City Opera is suing a hotel in Phoenix where she claims she suffered bed bug bites. “I leaped out of bed and pulled back the sheet. They were everywhere! It was like a sci-fi movie,” she said. 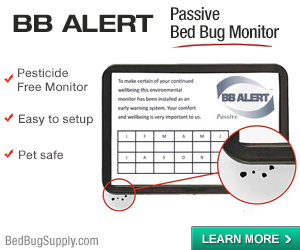 Trainer said she immediately went to her laptop, typed “bedbugs” into Google, saw a picture of one and followed the advice to put a few in a Ziploc bag. The hotel manager offered to write off her room fee for that night, she said. When the bites started to show, Trainer said she found she had 150 welts on her arms, legs and eyelids. “She looks like a piece of wood that has been attacked by termites,” said her lawyer Kenneth Glassman. Trainer is suing the Hilton hotel chain in Manhattan Supreme Court for $6 million. She claimed the experience made sleep difficult and she looked terrible – but said she went on with her scheduled performances with the opera and Phoenix Symphony because otherwise, fellow singers on the program wouldn’t get paid. Trainer might need laser treatments to help with scarring, her lawyer said. A Hilton spokeswoman did not return a call for comment. She got 150 welts in one night: that’s a serious infestation. Whenever I read these stories about hotel customers getting so many bites so quickly, I have to wonder if this is true, if other customers did not mention a problem before that. And if they did, why was the room offered? 1/ This is not a cheap hotel. 3/ She is from NYC and encountered bed bugs in Phoenix. I highlight this because I am a bit tired of reading about people who don’t want to come to NYC because of the bed bugs. 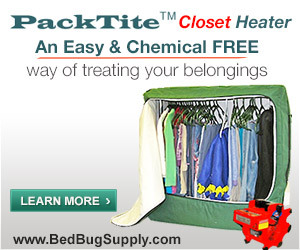 It can happen anywhere, and yes, those of us from NYC can be free of bed bugs here and meet them elsewhere. It is not a New York problem. 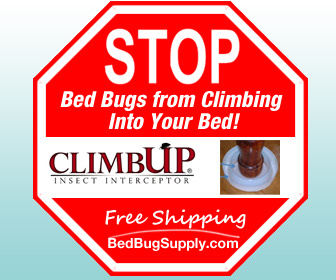 San Francisco, Boston, Chicago, Halifax, Edmonton, Toronto, Montreal, Vancouver, Miami, Chicago, Phoenix and Lexington, KY have all been in the news lately as cities seeing a lot of bed bug activity. And hotels facing lawsuits have been anywhere from tourist destinations like Anaheim, California to sleepy places like Alton, Illinois. 4/ She is suing for $6 million based on one night of misery, and the bites, which of course lingered. But it really puts into perspective the misery suffered by so many of us at home, for much longer. Some of us have landlords who are culpable (for example, renting out apartments they know are infested, or withholding information about infested neighboring units.) I watch with interest to see how more lawsuits by renters might appear. 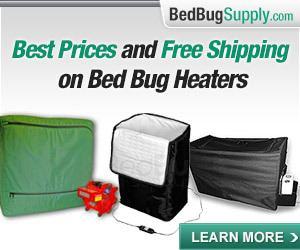 This comes hot on the heels of my posting Mike’s queries about avoiding bed bugs while traveling, and reducing the anxiety around them. I still think reinfestation is not likely to happen to any of us (sure, it’s a lot more likely than lightning striking once or twice, but not likely to keep hitting the same people nonetheless). That’s not to say I don’t worry when I travel. Once burned, and all that. I see the irony of the timing of this story right after my last post. 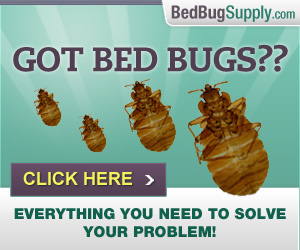 And I realize that every day bed bugs multiply, making it more likely that we’ll get them, and perhaps even get them more than once. Update: According to ABC news, she was actually in the hotel room for 6 days. (My mind was reeling at the thought of 150 bites in one night.) She was suffering from the effects before the 6th day, but did not know the cause of the itchy welts; it was on the last day that she found “brutally conclusive proof” (bed bugs themselves, apparently). The article linked in the update above says $1 was claimed for compensatory damages and $5 million for punitive damages. Maya Rudolph is also suing her SOHO landlord for a large sum. As much as I think hotels and landlords should never knowingly put someone in this position, if that was the case, I am thinking this kind of lawsuit can’t be sustained as this epidemic grows. Of course as Bugalina points out, the normal folks can’t afford to sue for $6 million. But landlords probably won’t be able to pay it out either. But even if they could, $6 million still seems quite absurd. In a case mentioned in the recent (10/15/06) NYTimes article, Peter Young (the Ludlow St tenant) was bitten from 2003-2004 and got only a 45% abatement of his $1000-ish per month rent. Young’s landlord did not do enough to solve the problem over a long period, and that was the basis for the judge ruling as he did. Anyway, housing court is in such a wildly different arena from the courts Soprano Allison Trainer and Maya Rudolph are suing in. I read another article on the same case, which provided more insight. Hmmm. A random opera singer who encountered bedbugs during one stay at a popular hotel chain endured the same “paranoia” as purported by Mara Altman’s recent Village Voice article? I mean, the singer had trouble eatiing and sleeping, right? Really? 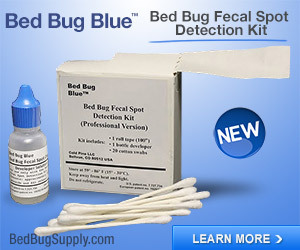 So, then, does it make sense that since Ms. Trainer only experienced bedbugs once, then the rest of us, who experience them time and again in our own HOMES, would not be considered PARANOID? First off..I am glad Allison Trainer is sueing…because the Hotel Lobby is powerful and if they start taking a big financial hurt then maybe the attention that should be given to bed bugs..Will be given. 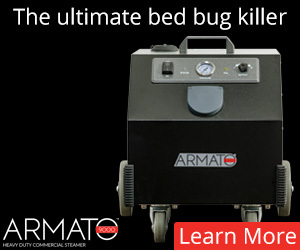 I think hotels and motel chains are turning out to be the biggest offenders of the bed bug spread. They had better get their arsess in gear and do something about this ..otherwise they will be getting millions of dollars in lawsuits. I for one would gladly testify as a “damaged” person in defense of Ms. Trainer’s lawsuit. She has to travel for her business, no longer can she stay comfortablely in any hotel…She is in fact permenantly damaged by her experience….just like all of us are. We need people like her to sue. My houseguest came from a hotel before I picked her up…but 3 weeks before she visited me I stayed one night in a Tucson Marriott Hotel at the airport….I have always wondered if the bugs just took their time in showing up….but in any case…..she and I stayed in hotels….With all of their money, hotels had better fight for a solution to killing bedbugs..I used to love to stay in hotels…I can’t now…I will if I absolutely must, but I will go with disposal luggage, ziplocks, and sleep all nite with a light on…and spray Bed Bug Terminator everywhere…I am damaged but I have no one to sue…So lets back this woman up…she is contributing to the fight against bed bugs….We need .something better than the stuff we are given now to kill them….and hotels are first in line…the very nature of their business…people coming in with luggage..and sleeping in beds !!!! 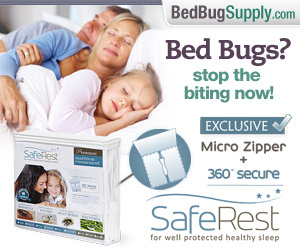 Its a no brainer….there is no way they aren’t going to be assaulted with bed bugs…so they better start fighting for a killer chemical !!…bugalina.. Make no mistake, I think she should sue. When I said “this sort of lawsuit can’t be sustained” I meant: “that’s a good thing.” If people sue for $6 million it will bring hotels and landlords to their knees and lead to some changes. People will take this seriously. So yes, I agree pressuring the system in this way is good. I think $6 million is a bit much, but that’s not to say she shouldn’t do it. Sorry I was not clear. Also, I am frustrated that housing court gives settlements of $500 a month (1/2 the rent) to a guy who lived with this for up to two years after his landlord was asked to remove the problem (which was building-wide and KNOWN to the landlord MUCH before that). I think the guy who sued the landlord should have been more agressive. 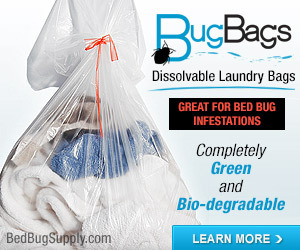 Its easy for me to say, but knowing how awful a bed bug infestation is, I would fight to the bone to get action from my landlord. As for the amount of lawsuit, well, if it dips into Paris’s party money…then so be it…The Opera singer’s attorney is cognizant of the future damage this bed bug trauma has done to her “head”….she can no longer get a good night’s sleep in a hotel when she is traveling on tours. That really effects her career. I think people who travel must be on high, high alert….The hotels are keeping this whole epidemic under wraps, and that is wrong. 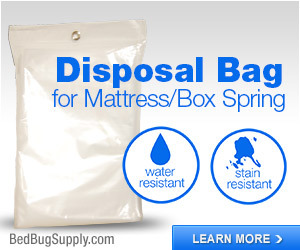 I would feel better if I checked into a hotel that had a bed bug dog in the lobby…sniffing all entering luggage….not for bombs! 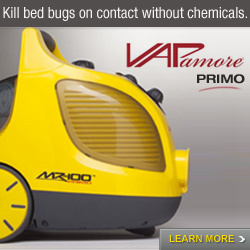 but for bed bugs ! I wonder if the dogs can smell the eggs ???? Bugalina.. I think Peter Young’s case was in housing court and I don’t think it was a lawsuit where large amounts could be “sued” for. He only got a rent abatement. I could be wrong. 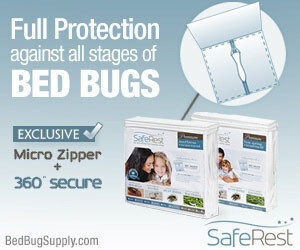 Bed bug dogs are a great idea for hotels. 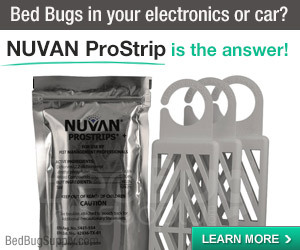 But first, the hotel will have to take responsibility for eradicating the problem, and accept that money will be lost because rooms will have to be out of circulation when bugs are found. A few hotels already do. 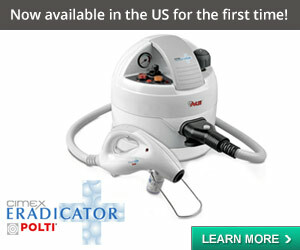 Perhaps a few more lawsuits will convince others– if the plaintiffs win. 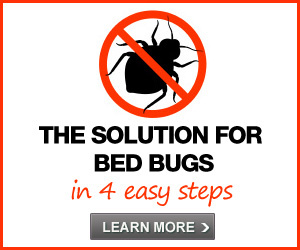 Next post: What can go wrong with isolating the bed to keep bed bugs out?